Deluxe edition includes 4 bonus tracks & booklet with photos, lyrics and a retrospective interview with the band. PYRACANDA formed in Koblenz, Germany in 1987—just a group of local friends out to have a good time and jam out some thrashing heavy metal. The five-song Welcome to Crab-Louse City demo quickly materialized in 1988, but it would only be a few short months before Rolf Koch (bass) and Dirk Pützfeld (vocals) were replaced by Dieter Wittbecker and Hansi Nefen, respectively—rounding out the lineup founded by guitarists Sven Fischer and Dennis Vaupel, and Elmar Gehenzig behind the kit. Despite a lack of concrete touring, shows supporting Blind Guardian, Tankard, Accu§er, and Rage followed; and the album was well-received by the German metal press. 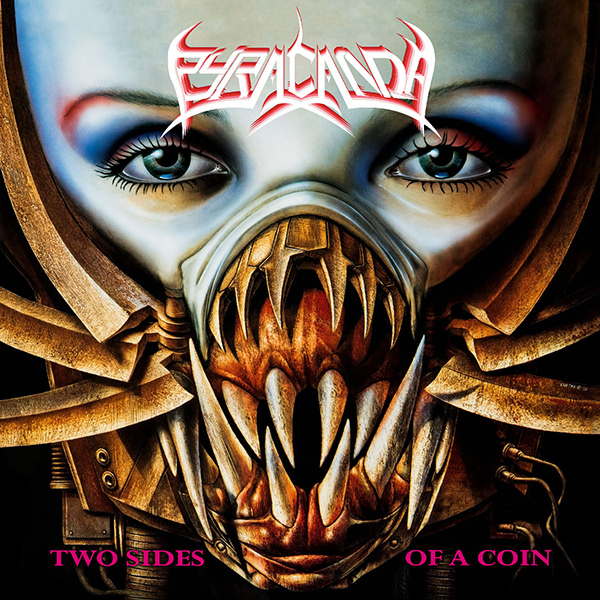 In November of 2010, PYRACANDA even celebrated the 20th anniversary of Two Sides of a Coin by reuniting for a successful one-off live show at hometown club Dreams. Now, nearly 30 years later, Divebomb Records is excited to present this expanded edition of Two Sides of a Coin—complete with four never-before-heard demo tracks as a bonus, including an epic 10-minute rendition of "Welcome to Crab-Louse City." Fully remastered by the band's own Sven Fischer. For the fans, by the fans!